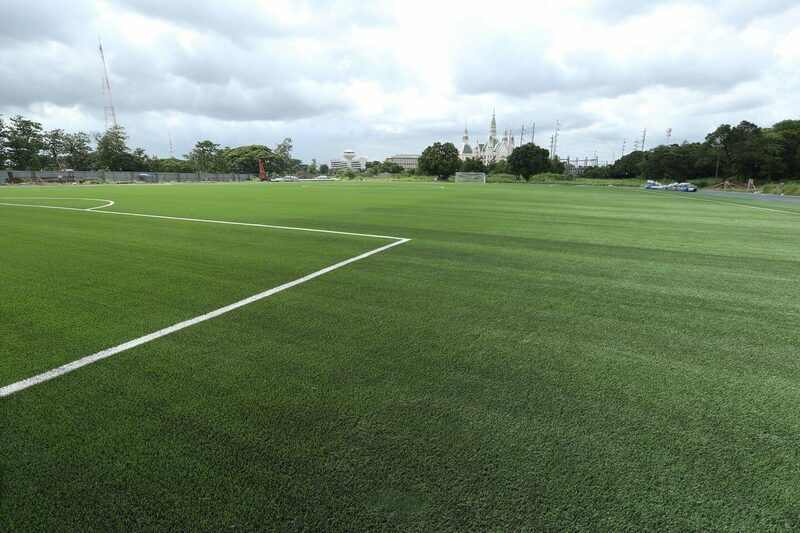 The FIFA Quality Programme has certified the UP Diliman Football Field, solidifying E-Sports International’s role in bringing world-class artificial turf pitches to the Philippines. 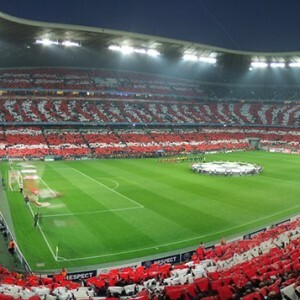 With the increasing use of artificial turf in sports facilities around the world, the FIFA Quality Programme was established to set industry standards for football technologies. 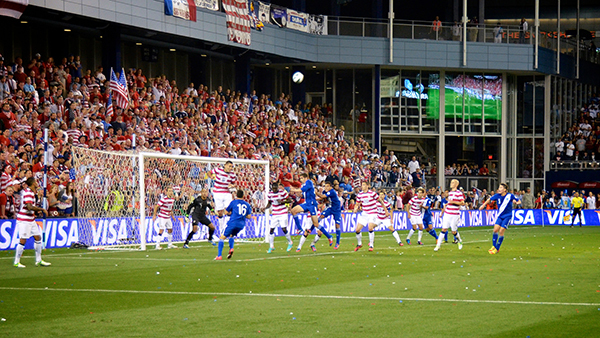 FIFA Quality Certification is awarded to pitches that meet stringent, internationally recognized criteria for safety, durability, and performance. 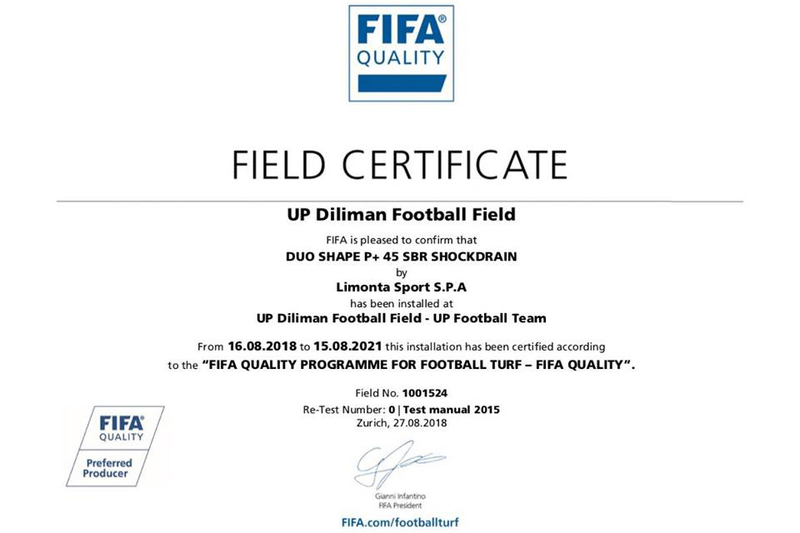 E-Sports International is pleased to announce that the new University of the Philippines (UP) Diliman Football Field has successfully achieved FIFA Quality Certification. In August 2018, the new UP Diliman Football Field received its certificate for passing FIFA Quality standards. FIFA’s process has become a reliable way for all stakeholders—from governments and institutions to contractors and athletes—to have a football pitch’s excellence empirically confirmed by an international trusted body. This discourages contractors from using low-quality materials, delivering substandard work, as well as offering scant services. We cannot emphasize enough the need for high-quality turf systems that are accompanied by excellent installation and consistent maintenance to prevent rapid pitch deterioration. Paying proper attention to these factors will guarantee a field’s safety, superior performance, playability, and pitch longevity. 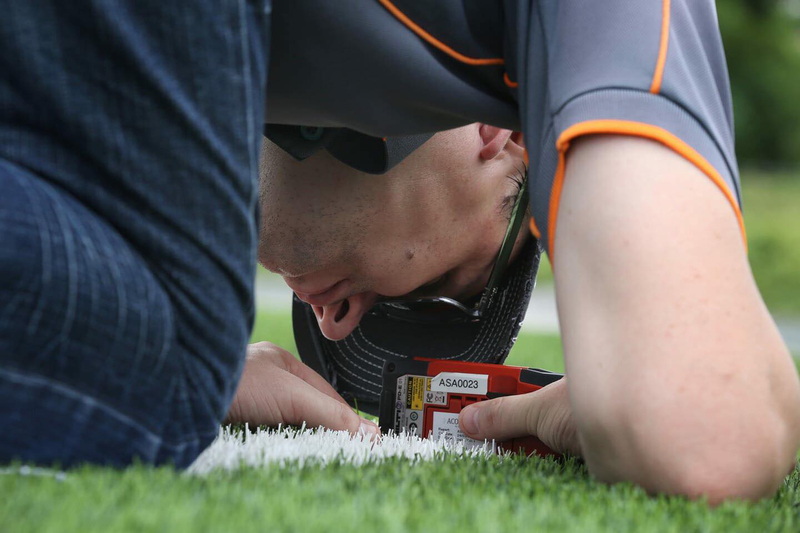 FIFA accredited test engineers from Acousto-Scan inspected the UP Diliman Football Field as part of their rigorous testing on the turf installed by E-Sports. The FIFA Quality Programme provides two awards: Quality and Quality Pro. 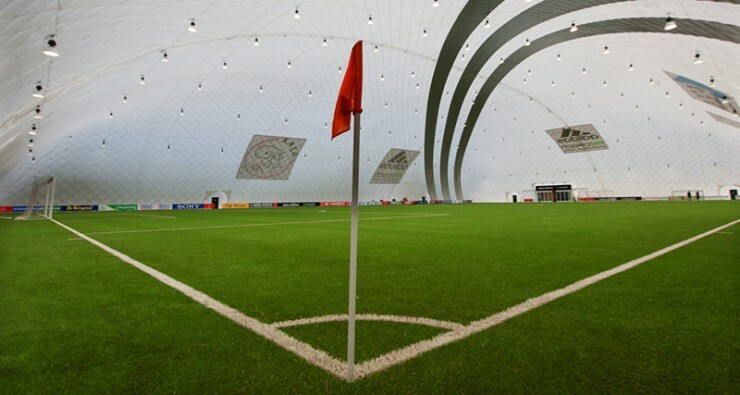 FIFA Quality ensures that a field is durable enough for multi-purpose use, greater weather resistance, higher traffic, and frequent training sessions. 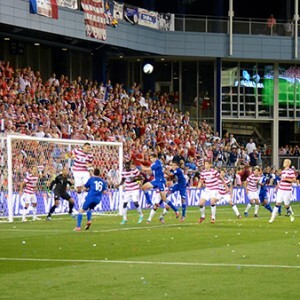 Quality Pro marks a field as suitable for professional-level matches and international tournaments. The UP Diliman Football Field was given a turf system that actually meets Quality Pro standards, but the university pursued Quality certification since it was what UP needed for the pitch’s use and purpose. E-Sports in coordination with the manufacturer, Limonta Sport, fully takes care of the FIFA certification process, which can be costly. For UP Diliman, the company used Duo Shape P+ 45mm turf with a Shockdrain system by Limonta Sport, a FIFA Preferred Producer. Test engineers from Acousto-Scan rigorously performed the FIFA Quality field test and after a few weeks, UP Diliman received the prestigious FIFA Quality Certification for its football pitch. 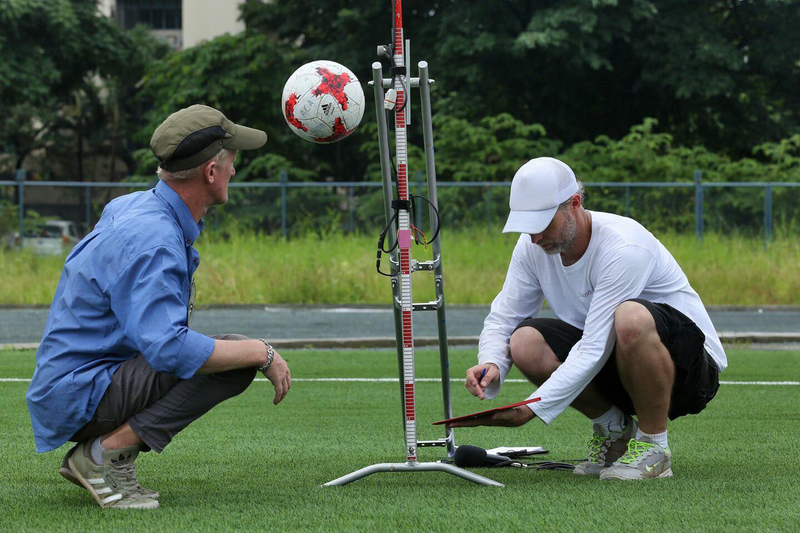 The Acousto-Scan engineers tested the UP Diliman Football Field for ball bounce, among several other scrupulous tests. “That is why E-sports believes that FIFA certification should be encouraged if the football pitch project’s dimensions and budget will permit it. If you’re really serious about giving your players good facilities that are reliable, I encourage everyone to have fields certified. 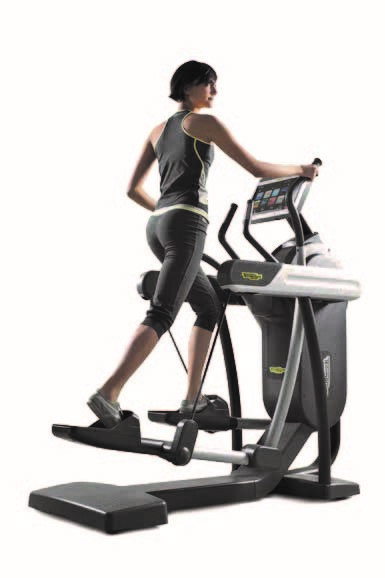 Just as importantly, it will also guarantee quality installations by suppliers,” Romualdez said. The UP Men’s Football Team (UPMFT) secured its 18th UAAP championship title by the conclusion of Season 80, without the members having a home field to call their own. E-Sports International started base preparations for the UP Diliman field in May 2018 and finished the project by August. When the triumphant footballers set their sights and their eager feet on the brand new UP Diliman Football Field, they beamed with excitement alongside their coach. 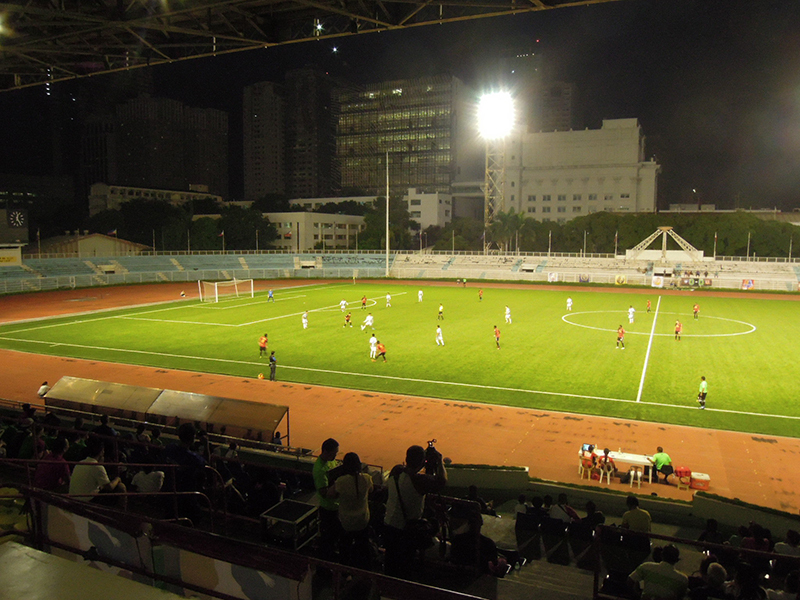 The university plans to complete the entire facility housing the pitch in time for UAAP Men’s Football Season 81. 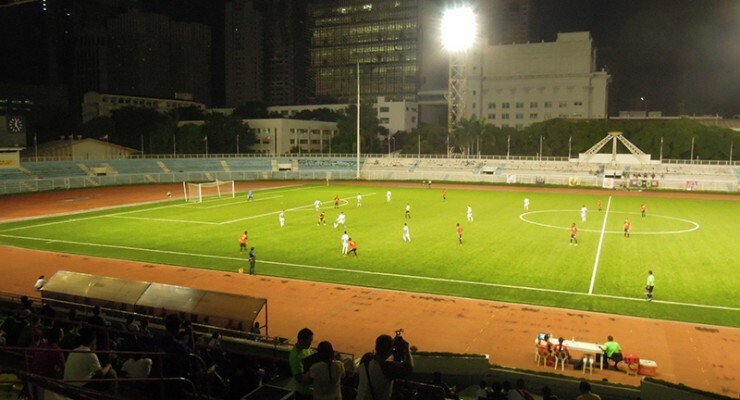 E-Sports International has successfully provided three artificial turf pitches with FIFA Quality Certification: the Rizal Memorial Stadium, the Biñan Football Stadium, and the UP Diliman Football Field. The company is currently building six additional football fields around the Philippines, two of which will undergo testing by the FIFA Quality Programme by the end of the year. E-Sports International builds world-class football fields with high-quality turf that has passed FIFA Quality and Quality Pro Certification. Contact us today to learn more about our process. Images are provided by E-Sports International, Inc.